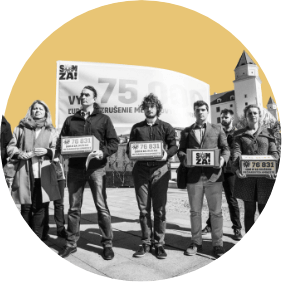 A total of 48 small, medium-sized and large enterprises active in Slovakia have applied for the Via Bona Slovakia Award, which will be presented in seven categories. Our new category titled Social Innovations received the largest number of nominations of all – 11. “There is an increasing number of companies in Slovakia which go beyond what is expected of them – they address important social problems and have the potential to find new approaches to solving them,” explained Michal Kišša, Program Director of the Pontis Foundation. 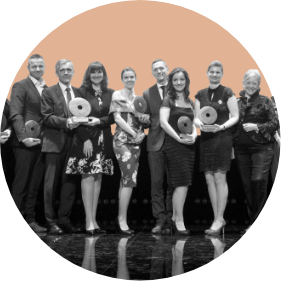 The Pontis Foundation will reward the most inspirational examples of CSR in seven traditional categories. In addition to those, there will also be three special categories: Family-, Gender Equality-, and Equal Opportunities-Friendly Employer; Award for a Contribution to Meeting the Sustainable Development Goals and finally The People’s Choice Award, whose winner will be chosen in an online vote by readers of the SME daily that will take place in March. An independent jury composed of experts from business, state administration, NGOs and educational institutions will choose winners in each of the seven categories, basing their decision on the nominations and two rounds of personal presentations. A list of companies that have made it to the final round will be published on 12 February 2018. The winners will be announced at on Thursday, 10 April in the Old Market Hall in Bratislava. The whole awards ceremony and will also be broadcast on Dvojka, the second public TV channel. Impact Futuristics s.r.o. with its Adopt a Beehive (Adoptuj úľ) project, which helps beekeepers all over Slovakia establish new beehives and presents the world of beekeeping to people of all ages. GO4, s.r.o. with its E-taxi project – the first zero-emission taxi service with electric taxis in the streets of Bratislava. Henkel with its Sustainability Champions (Šampióni udržateľnosti) – an educational project aimed at pupils in the 3rd and 4th grade of elementary school in which volunteers from the company organize interactive lessons about ecology. IKEA Bratislava with its project titled Second Life for Furniture (Druhý život nábytku) – a service which enables customers to sell unused or unnecessary furniture to IKEA. PURE JUNK DESIGN s.r.o. with its PURE JUNK project, which aims to offer an alternative to traditional products. 75% of the products are made from waste materials and 25% from recyclable materials. Dobrožrúti s.r.o. with its Zero Waste Bakery and Store project, for minimizing the environmental impact of the bakery and for the zero waste concept of the store. WakiVaky with its project titled WakiVaky – Reducing Waste, whose main goal is reducing textile waste. All of the products are produced from recyclable textiles and hand made by Slovak women living in difficult conditions. Adient Slovakia s.r.o. with its project titled Work and Family: It Works for Us! (Práca a rodina: Sedí nám to!). The company has implemented a mechanism which enables parents on maternity leave to stay in active contact with the company, allowing them to actualize themselves, participate in company matters and keep track of how the company develops. IDC Holding with its First-Grader Meeting (Stretnutie prváčikov) project. As a means of supporting its employees’ work-life balance, the company has created a special program for their children to make their first day in school unforgettable and allow them to see where their parents work. Lidl Slovenská republika v.o.s. for its Our Lidl Values project, which aimed to let employees participate in defining the company, show how they view it and become the faces of Lidl. O2 Slovakia for Mindpark: In-Company Startup Incubator. This unique project enabled employees to develop their creativity and work on skills that are not directly connected to their work duties. 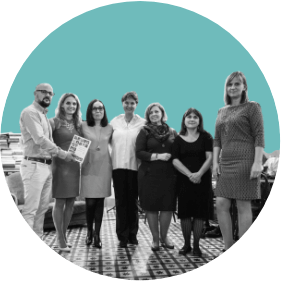 PricewaterhouseCoopers Slovensko for its D&I activities in 2017, through which the company focused on increasing awareness of D&I topics in the workplace, identifying its employees’ actual needs and looking for suitable solutions. Slovnaft for its project titled Developing Corporate Volunteering Through the Volunteering Idea Competition. The competition motivates employees to present their own ideas that could help improve life in their communities and revitalize their surroundings. VSE Holding with Diversity Days, a project which supports gender and age balance in the company, inclusion, mutual networking and public awareness of anti-discriminatory behavior. GAMI5, s.r.o. with its project titled Sell, Buy and Make Money Online. The online portal www.jaspravim.sk works as a network to connect sellers and buyers, thus creating and supporting a fair and safe online environment. INCOMA Slovakia with its Age Matters project, which aims to help retailers in Slovakia comply with the Act on the Protection of Non-Smokers and prevent the sale of tobacco products to underage individuals. NosKin, s.r.o. (Svet bedničiek) for its project titled Supporting Local Farmers and Food Producers. The service provides food delivery from local farmers straight to consumers’ homes, while also fighting against the dual quality of food products and supporting local farmers. O2 Slovakia for its 17 November project, which focuses on educating the young generation about democratic values and helps them develop critical thinking skills. Orange Slovensko for its Children on the Web project, which aims to increase children’s awareness of the risks associated with using cell phones and the internet, while also combating online criminality. TESCO Stores with its Successful Chain Store Supplier project, which aims to support local suppliers so that they can provide more employment opportunities, develop rural areas and reduce their carbon footprint. BILLA Slovensko with its project titled Shopping Assistant for Blind and Partially Blind Customers, which helps these groups of customers do their shopping and participate in normal life. GlaxoSmithKline Slovakia s.r.o. with its project titled Together for Improved Health – Health Mediation in Roma Communities, which aims to improve health standards and increase health awareness at Luník IX, a large Romani community in Košice. Lidl Slovenská republika with its Fairy Tales for All Children project. With both customers and employees participating, the project aimed to support neonatal care centers by donating equipment to help provide basic care for sick newborns regardless of their birth weight or age. sanofi-aventis Pharma Slovakia s.r.o. with its project titled Partners in Developing Patient Organizations, which aims to create a comprehensive educational program for a wide range of patient organizations and create a better understanding of the patients’ lives, needs and problems. T-Systems Slovakia s.r.o. with its AjTy Senior project, which introduces older generations to computers and the internet. Accenture with its S♥CODE project, which promotes better computer science education at schools and motivates teachers to start teaching programming in the lowest grades of elementary school. AT&T with its AT&T Aspire project, which gives students access to relevant education that reflects the needs of the current job market and helps young people build their professional career, whether they choose traditional employment or wish to become entrepreneurs. BeeSafe with its project titled BeeSafe – Personal Safety Mobile App for Seniors. The app aims to increase the safety of seniors and helps them become more independent late in their lives. 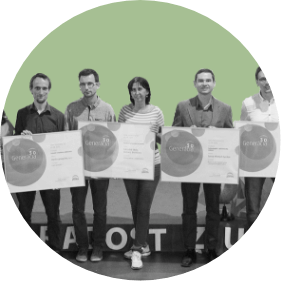 Google Slovakia with its Digital Garage project, which serves as a free online learning platform for everyone, primarily focusing on digital literacy and skills. Niche s.r.o. with its Memonik project – a tactile memory game which can be played by blind people as well as people with no visual impairment, speakers of different languages or seniors together with children. orchIDEAS s.r.o. with its Dobromat project, which provides an effective way of connecting e-shops with NGOs. The result is a functional and sustainable concept that provides long-term benefits for all the parties involved. 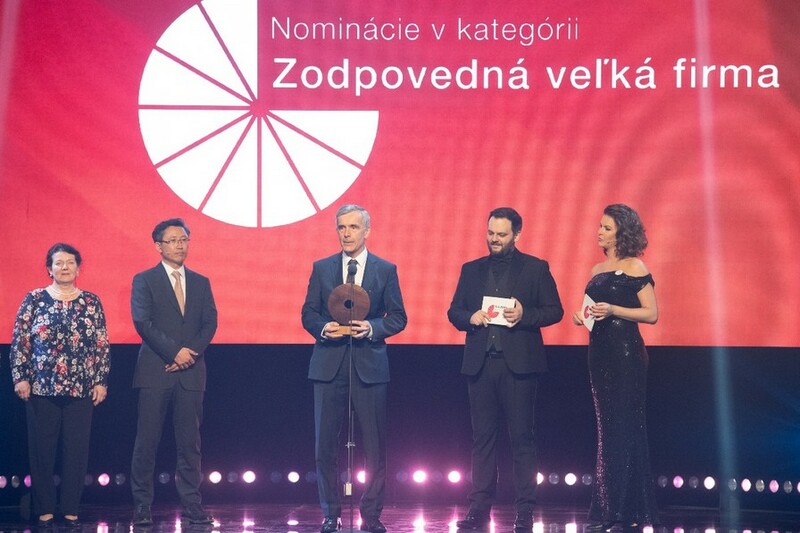 PosAm with its Dionýz Ilkovič Award, which aims to recognize the efforts of teachers and volunteers who support students in extra-curricular activities, primarily focusing on STEM subjects. PROROZVOJ with its E-PRO Web Portal, which helps local governments create and use strategic documents more efficiently. Sensoneo with its Intelligent Waste Management project, which enables cities, towns and villages to manage waste more efficiently using state-of-the-art technology. Slovak Telekom with its Inclusive Care – a comprehensive, long-term project aimed at creating an inclusive company environment. It includes educational activities which help employees develop their values, combat prejudice and stereotypes and learn what special-needs customers and other people from vulnerable groups need. The project also aims to improve the experience of disadvantaged customers. TESCO STORES SR, a.s. with its Reducing Food Waste project, which helps by donating surplus food to those who need it most.